Queens, NY – The United States Men’s National Team (USMNT) is 3-1-0 after four games under new manager Greg Berhalter. 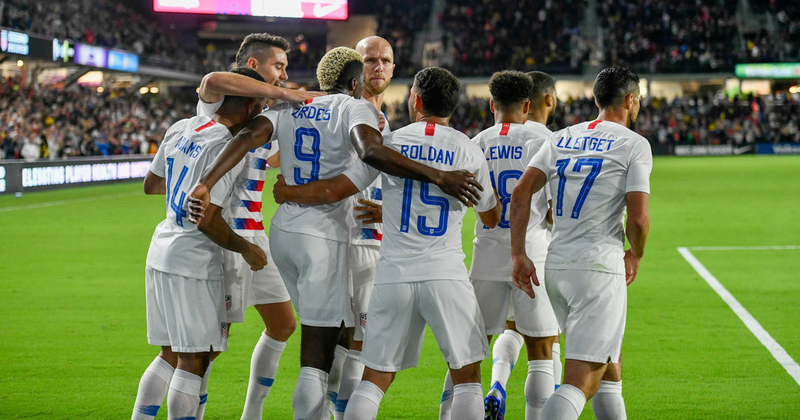 Wins over CONCACAF rivals Panama and Costa Rica in January and February, coupled with a victory over Ecuador and a draw against Chile on Tuesday night have USMNT fans excited for the future. Berhalter’s side will play in two more friendlies (vs. Venezuela on June 9 & another TBA) before a very important Gold Cup tournament in July. Let’s delve into some of my personal takeaways from their most recent friendlies. The Brooks-Long combination has been by far, the most effective center-back pairing for Berhalter over these last few friendlies. Both are tall, strong central defenders with good recovery speed and solid technical skills. Aaron Long is a master at winning aerial duels and routinely joins in on the attack when playing for his club team, New York Red Bulls. The USMNT has kept three clean sheets in a row with Long in the starting lineup. John Brooks’ ability to split defenders with crisp passes makes him indispensable as breaking the opposition’s line is crucial in Berhalter’s system. Omar Gonzalez and Matt Miazga proved vs. Chile that they cannot cover as much ground or play out of the back as effectively as Brooks and Long. Chile really put the U.S. under pressure, especially in the first half of the match. Miazga seemed confused about positioning and was seen receiving sideline instructions from Berhalter on several occasions. Gonzalez was decent in the air, but looked jittery inside his 18-yard box. Either making sloppy clearances or unnecessarily knocking the ball out of play when he had enough space to turn and play a pass. Calling-up Gonzalez over LAFC’s Walker Zimmerman was an interesting decision, one that I pray is not repeated in July. If Berhalter plans on using his “false right-back” formation in the Gold Cup, then a Brooks-Long partnership in the middle is the only pairing that makes sense, tactically. Corey Baird was brought into the U.S. National Team fold by Berhalter during January Camp, earning his first senior cap soon after. The 23-year-old winger from the Chicago Fire has started three of 4 games since being called up, which is somewhat puzzling to me. Berhalter loves Baird’s pace and defensive work rate, that’s the reason he’s been a constant fixture in the team since Berhalter took the reins. Baird was able to get an assist in the 3-0 win vs. Panama, but has done little of note since to cement his spot on the roster. According to most observers, Baird has been outplayed by NYCFC winger Jonathan Lewis in limited minutes off the bench. Baird’s lack of quality was masked in three USMNT victories against lower-level opposition. However, Baird looked to be in over his head vs. Chile – to date, the toughest competition he’s faced in a USMNT kit. He routinely lost the ball on the wing with poor first touches or by hitting ill-fated passes in possession. His service was either played in behind teammates, stopping their forward momentum (i.e. the pass on Pulisic’s trailing run into the box) or intercepted all together. With that said, I have a feeling Baird will be on the final Gold Cup roster in July due to a lack of alternatives. Jordan Morris didn’t really make an impression at right wing and it seems like Berhalter prefers to utilize Lewis as a ‘super sub” rather than a consistent starter. I wouldn’t mind seeing DeAndre Yedlin play on the wing, considering he’s naturally a defender and shouldn’t have any problems high pressing opponents. Yedlin’s pace on the wing would make him a tough cover for defenders and his improved crossing ability may provide more opportunities in the box. I just know I’d rather not see Baird called back for the USMNT until he refines his game. Paul Arriola has started three of 4 games on the left wing under Berhalter and made a substitute appearance on the right wing vs. Panama – replacing the aforementioned Corey Baird. Coincidentally, like Baird, Arriola’s pace and high motor has made him a Berhalter favorite since taking over. However, unlike Baird, Arriola’s technical ability, nose for goal and crisp service into the box makes him a “must start” on either wing for the USMNT. 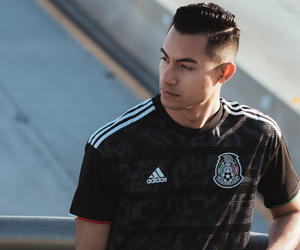 Arriola scored a nice chip shot goal vs. Costa Rica and would have scored vs. Ecuador on a back-post run had Zardes not been called for offsides moments earlier. Arriola routinely provided cover for left-back Tim Ream when opponents would overlap and flood the wide areas. He was also excellent getting forward, linking up nicely with Zardes and Pulisic when attacking. The USMNT player pool has more depth at left wing than they do at right wing. So although I prefer Arriola on the left, I wouldn’t mind seeing him supplant Baird on the right side. While Jonathan Lewis, Tim Weah, Kenny Saief and possibly Sebastian Lleget or even Fabian Johnson battle for minutes on the left. Columbus Crew forward Gyasi Zardes gets a lot of flak from USMNT fans for his finishing, which let’s be honest, is anything but clinical. However, Zardes has made improvements to all facets of his game since his move to Columbus in 2018, where he first came under the tutelage of Berhalter. Zardes has become a better finisher, as evidenced by his 19-goal MLS campaign last season. Zardes has also become a better passer in the final third, as evidenced by his cheeky little one-touch flick over the defender on Pulisic’s goal vs. Chile. Zardes hold-up play has drastically improved as well, evidenced in all four USMNT friendlies this year. He looks a lot more comfortable with his back to goal, laying off passes for his wingers to run onto in open space. Zardes even drops deep into the midfield, giving his defenders a big target in the middle when teams are pressing the USMNT back-line. With Toronto FC’s Jozy Altidore still recovering from injury, Bobby Wood out of form and out of favor at Hannover 96, Josh Sargent playing for the U-23’s to help them qualify for the summer Olympics and Christian Ramirez still mostly unproven at this level. It’s crazy to say, but Gyasi Zardes is currently the No. 1 forward in the USMNT player pool… For now. The most hotly contested position battle for the upcoming Gold Cup tournament will be who gets the starting nod as that “deep lying playmaker” in the middle of the park. Historically, that role has been manned by Michael Bradley to little fanfare. Many USMNT fans have criticized Bradley in the past for not playing enough balls forward, constantly passing back and resetting the attack. Once Berhalter took over, he brought Will Trapp (whom he knows well from his time at Columbus) into the National Team fold to compete with the elder statesman. Trapp is a younger, quicker version of Bradley. Trapp knows Berhalter’s system well, knows where his teammates will be and is capable of hitting passes in all directions. Trapp was awesome after subbing on for Bradley vs. Panama and then got the start vs. both Costa Rica and Ecuador. After the Ecuador match, USMNT fans all but wrote off “Captain America” and wanted to see Trapp become our new No. 6. However, Berhalter may have disagreed with that sentiment. Bradley was given the start vs. Chile and took full advantage of that opportunity with a great performance. Bradley connected on 90% of his passes, won 4 tackles and had 18 ball recoveries in the match. Bradley also pinged two memorable balls that reminded us he’s still a force to be reckoned with. The first pass was a quick no-look through ball that split three Chilean defenders and released Baird down the right flank. Then, Bradley collected a pass in his own half, dribbled it deep into Chile’s half, pulled the ball back and hit an absolute beauty into the box. Bradley’s ball sailed over the shoulder of two defenders, hitting Baird in stride. Unfortunately, Baird could not get his volley attempt on target and his shot hit the side of the net. Usually, Bradley and Trapp are not in the starting lineup together – due to a lack of pace from both – and are more “like for like” substitutes. If Weston McKennie – who picked up a severe ankle injury the previous match – is healthy and available, it will be interesting to see who Berhalter picks for the Gold Cup opener. However, if McKennie cannot play, we may get to see what a Bradley/Pulisic/Trapp central midfield trio looks like after all. Let’s cross our fingers and hope that’s not the case. Berhalter has come in to the USMNT fold, implemented his unique system in a short period of time with positive results. The United States were on the front foot vs. Panama, Costa Rica and Ecuador, scoring 6 goals in those three matches. Berhalter’s side then stepped up the level of competition vs. Chile and got a draw for their efforts. Granted, the U.S. did not look as impressive against Chile as they did in their first three games under Berhalter, but that’s to be expected when facing the defending Copa America champions. Berhalter knew the U.S. would not control possession vs. Chile and sent out a more defensive, counter-attacking lineup which immediately paid dividends on Pulisic’s early goal. After Chile leveled the score five minutes later, the game’s momentum favored Chile. USMNT was forced on the back foot, allowing Barcelona midfielder Arturo Vidal to routinely break their lines with varied balls, many of which were swaggy “no look” passes and it seemed like the U.S. players did not have an answer for him. Fortunately, Berhalter was able to identify this problem quickly and would routinely call players to the sidelines during injury timeouts or water breaks and adjust his tactics. This was a welcome sight for USMNT fans who have criticized former managers Jurgen Klinsmann and Bruce Arena for failing to make necessary in-game adjustments. Like his predecessors, Berhalter has a particular philosophy and vision for the USMNT. However, unlike his predecessors, Berhalter has a willingness to adapt his system on the fly in order to get a desired result. This flexibility, coupled with his attention to detail will serve the USMNT well leading into the Gold Cup tournament and 2022 World Cup qualifying. Eric is a soccer podcaster that came to The Stoppage Time via Twitter. Eric is an avid MLS fan, all things RBNY and anything USMNT related.